Center stone is 0.47ct. 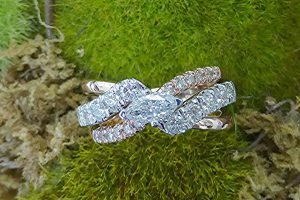 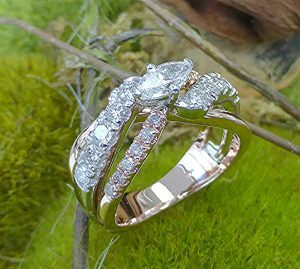 marquise cut diamond set sideway in the 14k white gold along with ten round diamonds weighing o.57ct. 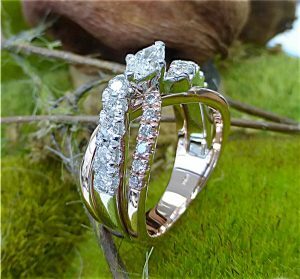 Rest of the mounting is made of 14k rose gold set with twelve more diamonds weighing 0.47ct.